We slept just a little next to nothing last night. I feel pretty comfortable with the editing; it is even fun. I get to see all the video taken during the day, as I download it from the video cameras, so it’s another dose of beautiful faces (and some sad stories). But, it has not become necessarily less time-consuming. What to leave out is the daily struggle. The women and girls of all ages that I am now seeing for the second time have become true friends. They are quite a community! Darsalam’s new baby, Safa, is a joy to watch, and the new mommy is full of life. Her younger friend, Sumaya, lights up when she sees us coming. I wonder how strange we look to them. More ups and downs.We’re not able to show you all of the people we meet and video record. It is hours of material. Our new friend, Adam, told us about how his village is now being lived in by the Janjaweed. The same day that he tells us that, I read a note from James Smith (Aegis Trust), a more-than knowledgeable source on genocide and Darfur. 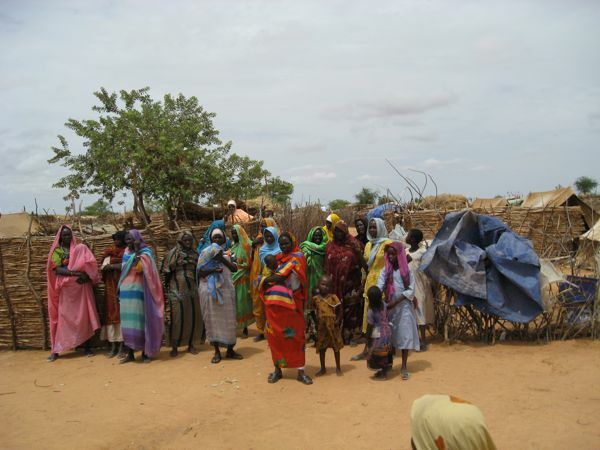 He said that the Government of Sudan is repopulating Darfur with Arab populations, some of them non-Darfuri. By doing this, they are altering the ethnic balance forever in that region. They, the GoS, can then more easily accept any agreement. 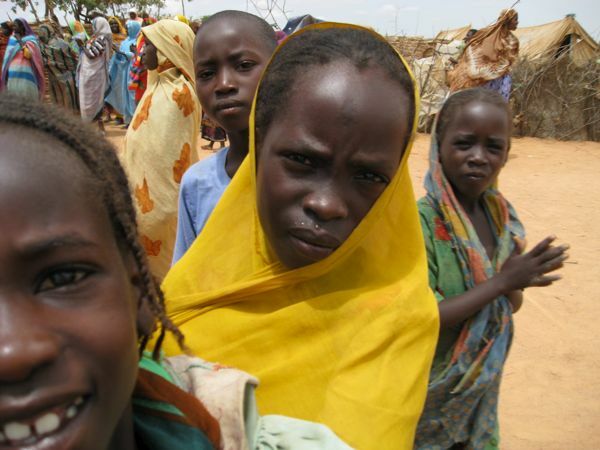 They will have the numbers for elections in the future, and they know that there will be fighting when the displaced Darfuris return. 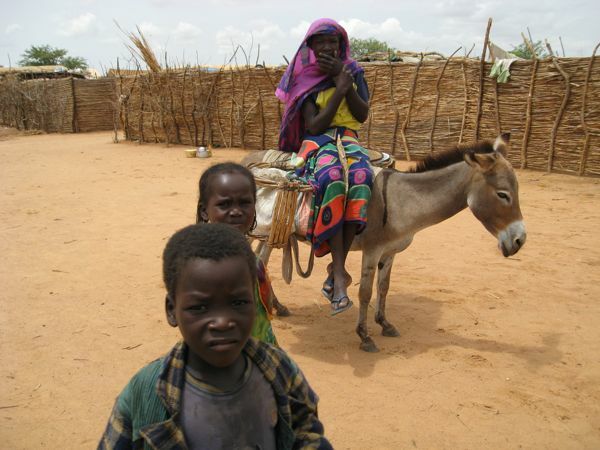 The black tribes from Darfur will then be the ones blamed for the new violence. It is chilling to think of this probability. Adam told us that, if he returns home right now, there will be an Arab living there, and Adam would be killed. Adam is a new father. 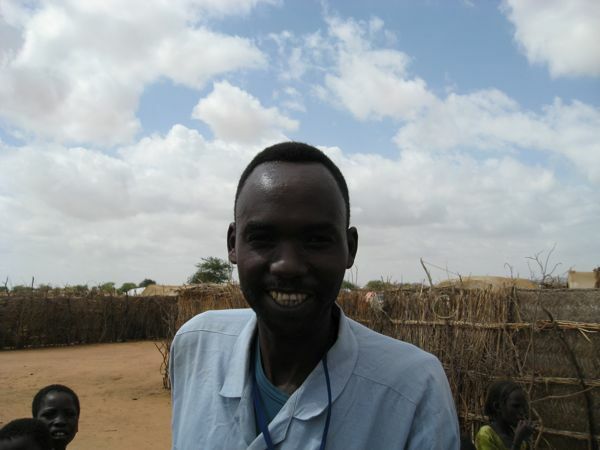 He and his wife maintain a very clean and organized home, but Adam would like to be back in his home in Darfur. I dream about my daughter and son continuing their education, playing sports, and enjoying life. I think about what they will choose to study in college. Mimi wants to be a writer. Gabo is too young to think about it, but he does have a strong mind and is great little athlete. He’ll also be whatever he decides to be. What kind of future can Adam’s new baby ever hope for? Aqui seguimos con ustedes, saludos. Great pictures Gabe!!! You’ll have to setup a photo gallery on your site when you get back. Remember that Im always here with you.TAKE ACTION!!!!!!!!! Really like your videos. I was wondering about the boy who draws. If you visit him again, maybe you can ask him if he could draw or give you one of his pictures. I would like to put it on a t-shirt, like I do with my own deisgns, and write “This is what happens to kids in Darfur” or something like that. I would wear it to school and to the different places I go. I’m sure people will ask me questions and I can send them to the web site and ask them to get involved. What do you think? Gabe ….. just watched the Day 5 video again and I still don’t know what to write and I didn’t last night (we’re half a day ahead with timezone differences) when I watched it for the first time – it just really made me cry. Not my usual welled-up response but full-on sobbing – this one really got to me. The dignity with which you, Connie and Yuen-Lin were asked to bear witness, to connect, to tell – is breath-taking. Right – time to stop sooking and go find today’s 5 people to spread the word to. 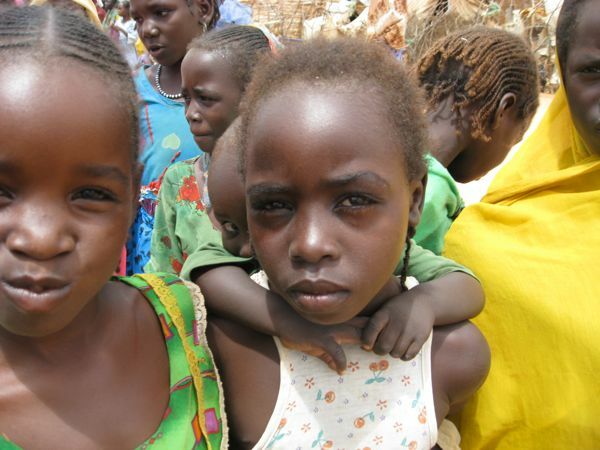 THANK YOU (and Connie and Yuen-Lin and Ali) for helping give these Darfur natives their voice. out “again” and spread the message. Be well – keep up the good work and be sure we’re doing our part back home.